Slow down, take a deep breath, and look again at what you thought you understood. 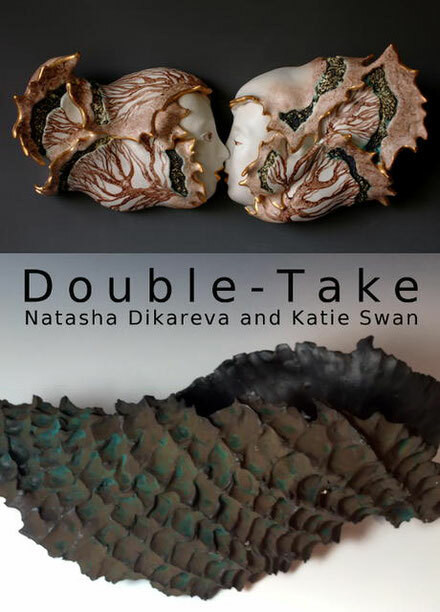 This is what the ceramics art of Natasha Dikareva and Katie Swan call us to do. Double Take tells a story of a dance between the familiar and the extrinsic. 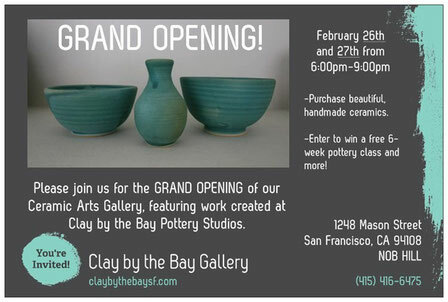 Discover a new world of ceramic arts. 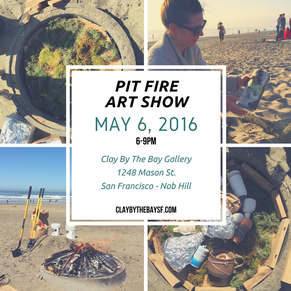 Tom Michelson will showcase his dark and humorous sculptures at Clay By The Bay Gallery. 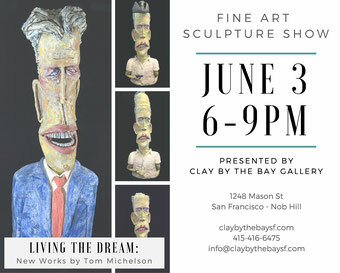 Entitled "Living the Dream," Tom's work will let you explore the bleak, yet beautiful aspects to life with him. So come have a drink and a laugh! Pit firings create the most unique and beautiful finishes on ceramics. These works display all the raw beauty of ceramic art with the natural, atmospheric fired luster. Visit our Gallery to learn how it's done! 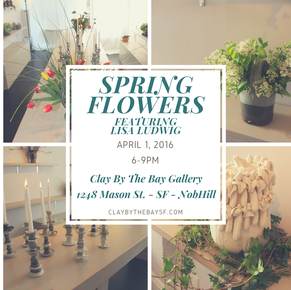 Artist and teacher Lisa Ludwig showcases at Clay By The Bay Gallery for her Spring Flowers show. A unique and beautiful design story, Lisa's ceramics imbue the calming elements of nature which deliver a beautiful and functional style for any home.